Located in the Leeward Islands, Antigua, the larger of the two islands that make up this nation, boasts several major resorts including a Sandals and the resort community at Jumby Bay. Antigua also attracts yacht owners and sailing enthusiasts each year to English Harbour. And it is an increasingly popular cruise destination, with a fine cruise ship harbor at St. John's. 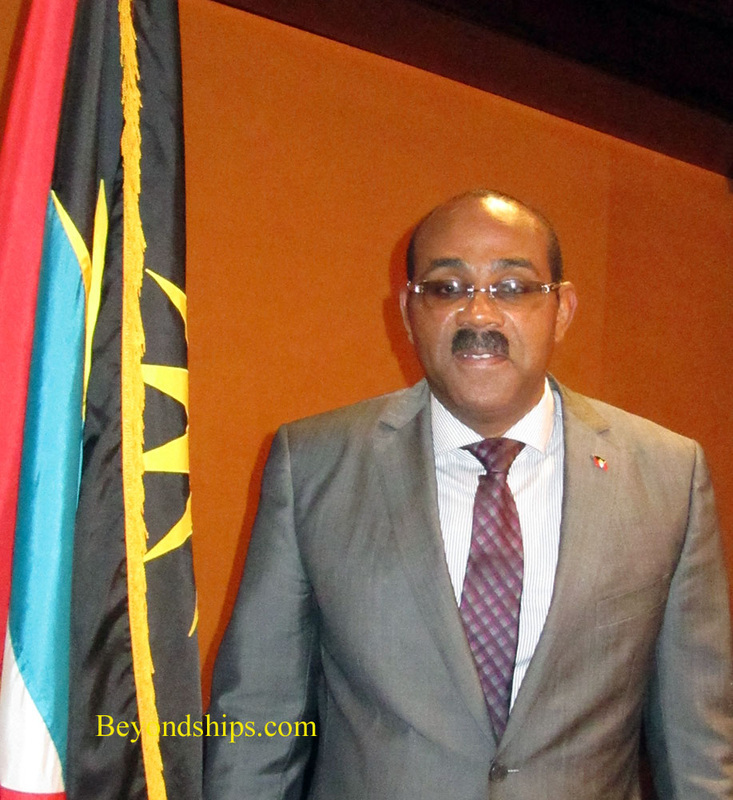 Indeed, in office just over 100 days when we spoke with him, Mr. Browne is able to point to several impressive examples of foreign investors making commitments to Antigua and Barbuda's tourism industry. Chinese investors have purchased land and obtained permission to develop a $200 million “mega-resort” on Antigua that will include leisure and entertainment facilities as well as hotels. Investors from the United Arab Emirates plan to build a $150 million resort at Morris Bay. A Canadian firm is going to invest millions of dollars re-developing a resort property and building additional rooms. In addition, infrastructure improvements are being made such as a new airport terminal funded by China. Brilliance of the Seas and Vision of the Seas in Antigua. The government is also looking beyond the port, keeping in mind that many cruise visitors also want to have experiences away from their ships. In addition to its numerous beaches, Antigua has the popular Nelson's Dockyard site, so named because of its connection to the British naval hero Admiral Lord Nelson. But inasmuch as the island hopes that cruise passengers will return again and again, more attractions are planned. One of the great attractions of Antigua is its natural beauty. With all this planned development is there a danger of throwing the baby out with the bath water?